Results of the 80m Evening CW Counties Contest have now been published, the Contest Results page at www.irts.ie/results has all the details. 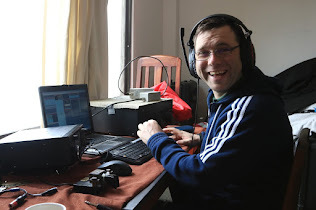 Dave Moore EI4BZ was the top-scoring Irish station, while Andy Malbon G8MIA was the top-scoring overseas station. Congratulations to both winners. In 2017, our Evening Counties Contests will have SSB Only and mixed mode SSB/CW sections, as it is clear that there is insufficient support for a CW-only event. Full details of this and other changes to the contest calendar and rules will be included in the next issue of the members' journal, Echo Ireland.